The simplest solution is usually the most effective one when solving any of life’s annoying problems. This certainly applies to the issue of wedging your garden hose or electrical cord between your vehicle’s tires and the driveway. 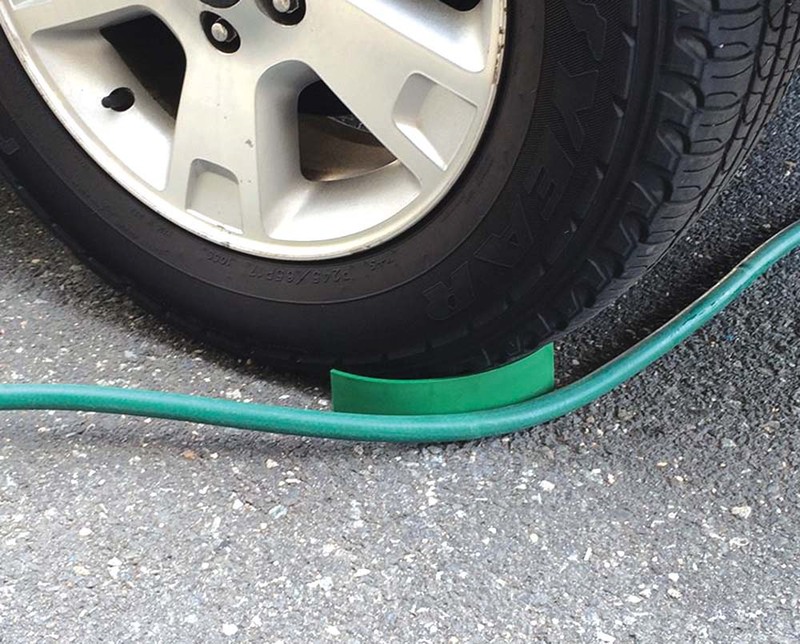 Royal Automotive Accessories’ straightforward solution is called the Hose Slide. This thick plastic block prevents garden hoses and extension cords from being caught up as you work around your vehicle. It will also keep you from turning the air blue from exasperation. A pair of Hose Slides will set you back $13 ($20 for a pack of four). Details and ordering info at www.hoseslide.com.